What are some of the financing challenges that green techs continue to face? The major challenge has been cost of technology for many years. However, I believe this is changing and we’re seeing a big shift towards lower pricing of traditional electric cars from major manufacturers. However, the price of electric cars is still priced out of range for the average person, forcing us to continue to depend on combustion vehicles. This is very unfortunate, because according the EPA, transportation in America creates nearly thirty percent of our total greenhouse gas emissions. We want this to change and that’s why we’ve set out to build the most attractive, affordable, and practical electric car ever with base price starting at $10,000. Why do you feel VCs and traditional bank and/or angel investors are still hesitant when it comes to investing more aggressively in green techs? In my mind, it’s not that they’re hesitant, it’s that they are still getting bigger returns on other industries such as software technology companies. It’s a pure numbers game for them. The best part about this, it opens up a potential opportunity for individuals to invest in equity crowdfunding campaigns such as the one for the Model SONDORS. Without companies such as StartEngine, this just wouldn’t be possible. Why do you feel crowdfunding investors are more accepting of helping green tech innovators like Sondors and Elio Motors? What types of investors are investing in their companies that’s allowing them to raise millions? I feel this shows just how much pent up demand there is for affordable electric cars. And I believe the type of investor investing is conscious about their purchasing decisions and wants to do their part to go green. They’ve been waiting for an opportunity where affordable meets beauty. Let’s face it, right now electric cars are either unaffordable or somewhat ugly. The Model SONDORS is attractive, affordable, and practical. Even better, the Model SONDORS will be available in three range options - 50 miles, 100 miles, and 200 miles - so it will get you where you need to go at a price that you can afford. Can you tell us a bit about what StartEngine is, how it works and what is required to qualify to be listed? What are some examples of successful campaigns and why did some others not make the grade? The moral of the story seems to be that if the company has a sizeable built in community of users, fans and following, or if there is a cause and mission that people can rally behind then it’s something we want to take a serious look at. That is the start, then it takes a compelling message of why a company does what they do. This will convince the potential investor it is worth investing their money to help spur this innovation to the market. Finally, it takes effective marketing, whether it be email marketing, PR, social advertising, influencer marketing, etc. There is a ton of strategizing and effort that goes into running a successful offering, and we can’t stress enough how important it is to have a strong digital marketing plan. Those three links are a common thread in all successful campaigns. Why is StartEngine now a magnet for so many green techs looking for financing? What’s your secret sauce to helping these type of companies raise capital? In our opinion, StartEngine has found success in this space because there are large audiences that can rally behind the causes of green oriented companies. Additionally, when the public is given the opportunity to invest in these companies they take advantage because they want their investments to make a difference for the world and the causes they care about. It started with Elio, as it was their goal to cut carbon emissions in half. People saw a compelling mission and vision that they wanted to help fund. As a result, our investor base initially grew with green savvy investors. We then continued our search, while green tech organizations found us, knowing StartEngine’s investors shared common interests. We’ve made a point to launch companies that plan to help our environment, and SONDORS Electric Car is no different. Tell us about Sondors? Who are they and what is their goal? At SONDORS, we feel that in order to be a difference-maker, you’ve got to do things differently. With the help of thousands of supporters, we raised $10 million and delivered 15,000 electric bikes and became one of the most successful crowdfunding campaigns in history. We successfully created the first mass produced, affordable electric bicycle. The SONDORS eBike is currently the largest electric bike distributor in the U.S. and is sold in 67 other countries worldwide. Due to this record-breaking start, SONDORS is the brand responsible for revolutionizing the way the world views affordable electric transportation for the masses. And now, our mission is to create an electric car that makes sense to the average person. As we did with our electric bike, we’re taking something elitist, over-engineered, and overpriced and turning it into something real, simple to use, and practical. 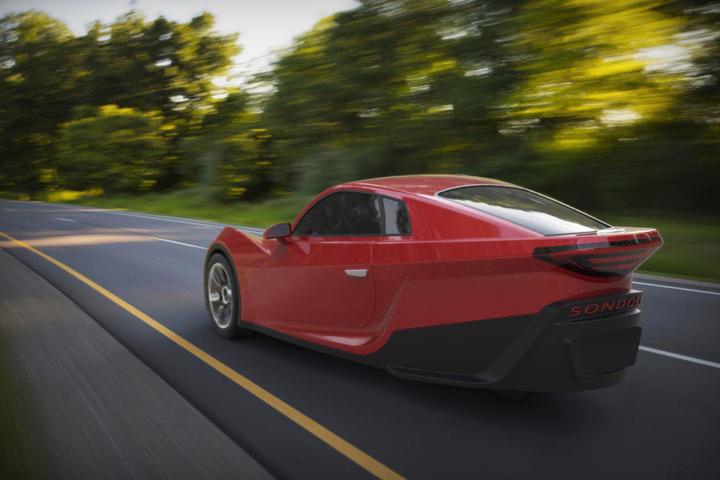 SONDORS is working to be the first real option for an affordable electric car. What type of innovations will Sondors introduce to the marketplace if they reach their $1million goal on StartEngine? Most electric cars are replicas of existing vehicles. We insist on standing out. 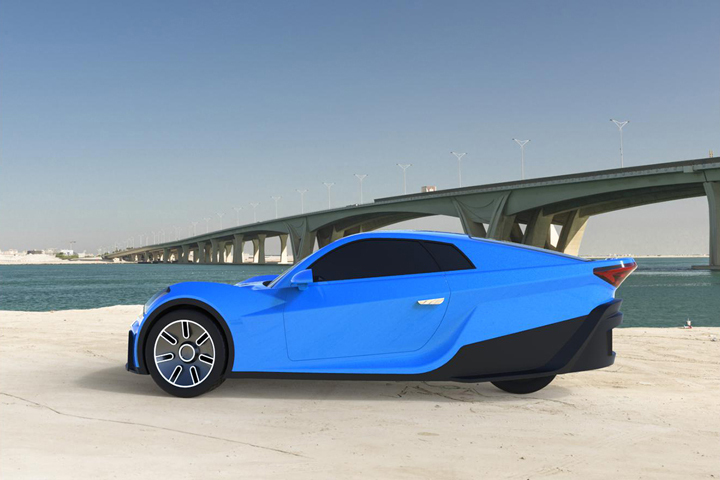 The SONDORS electric car is an innovative three-seat, three-wheel, all-electric vehicle. We are designing this car from the ground up, with a focus on expressing simplicity. We’re forgoing the unnecessary complexities and focusing on building a technology that people will love. It's not about complicated engineering, it's about ingenious technology. That’s where electric excels. Storm Sondors is a highly-skilled specialist in design and manufacturing, and the creator of award-winning SONDORS eBike. Currently the largest electric bike distributor in the U.S., SONDORS eBike has been sold to 67 countries worldwide. What distinguishes Storm from others in his area of expertise is how he treats design and engineering as his own form of entertainment. He has special interest in personal branding, and he believes the road to success is an arduous one. Storm’s adage is simple; if it isn't relevant enough, people switch the channel. Determined to inspire the world to convert to zero emission vehicles, Storm has successfully raised more awareness of electric technology in affordable transportation than any other company in his field. He is passionate about lithium-ion batteries, and due to his brand’s success in the marketplace, admits to probably having too much fun with his access to the world’s best electric technologies and resources.